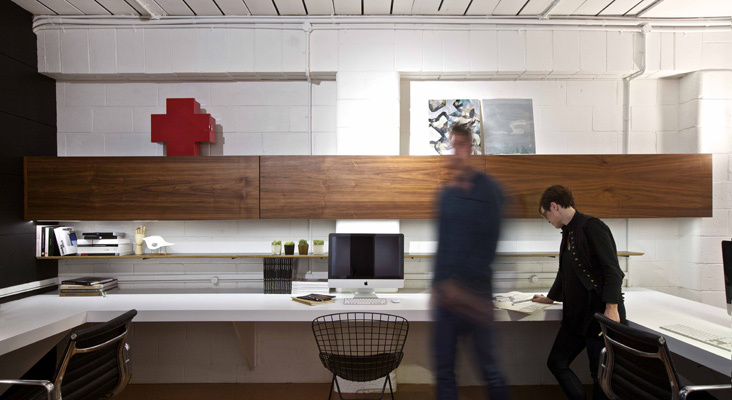 Spatial planning, crisp, warm finishes and iconic furnishings work together to overcome the constraints of transforming a former garage into a contemporary working studio. 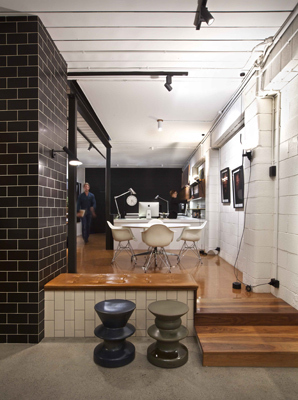 Essentially one open space comprising four zones, black Inlite track lighting is a unifying element throughout the design solution. 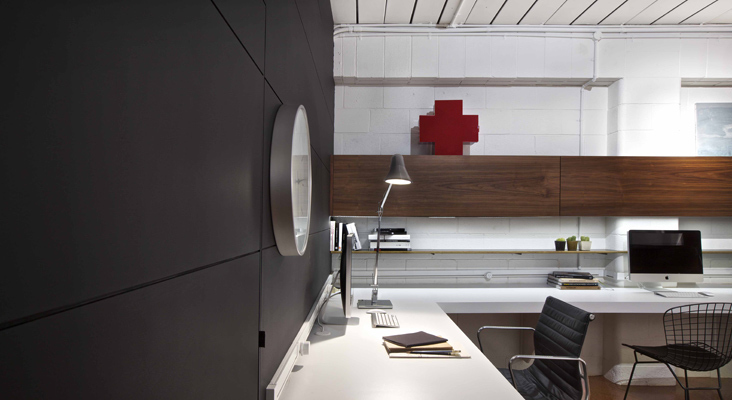 A natural palette allows for distinct features and finishes to shine, such as custom walnut veneer cabinetry, which exaggerates and elongates a cavernous office space.